Another in my series of paintings of Kuerner Farm. This is a view of the upper window of the barn from inside. It was a very bright day outside and the light was flooding in through the upper window. 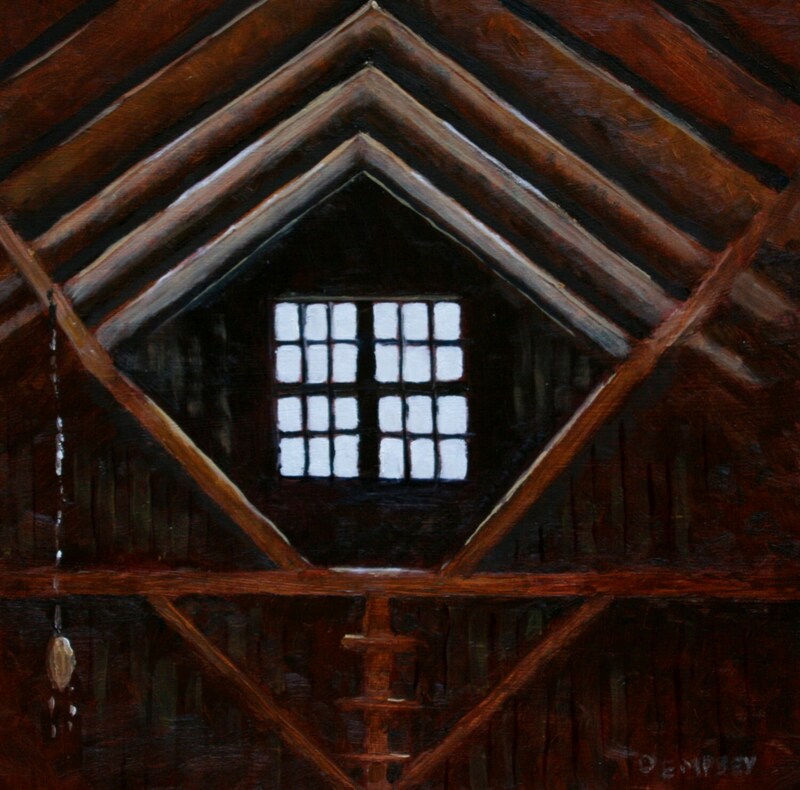 This made for a stark contrast with the murky interior of the barn. Indeed, the window was so bright that it basically overwhelmed everything around it. Eventually, though, as my eyes adjusted the details started to emerge from the darkness. That's a very old block and tackle hanging from the rafter to the left. It was used to manhandle bales of hay around the interior of the barn. It never ceases to amaze me how huge the barn seems from the inside. It is a truly cavernous space.